Back in 1987 at Camp Tamarack, I remember a couple of friends and I decided to sing "Paul Revere" for a talent show. "Only if I can be MCA," I recall saying to my two fellow campers. There was something about MCA that I always liked. Three Jewish white boys at a Jewish summer camp pretending to be three Jewish white boy rappers called The Beastie Boys. We knew every word from every song on the License to Ill cassette tape. 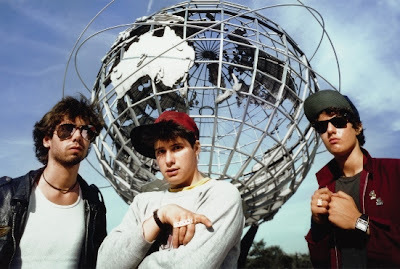 We didn't understand every word the Beasties were singing, but we loved their mantra: "Fight For Your Right to Party." I flashed back to that summer earlier today when I heard the horrible news that Adam Yauch ("MCA") had succumbed to his cancer fight and passed away. 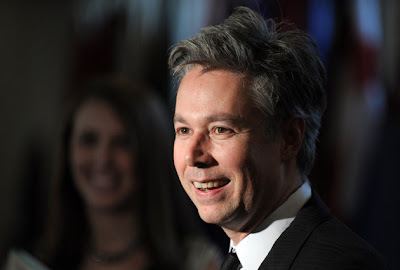 A friend of mine who attended the Rock and Roll Hall of Fame induction ceremony told me last week that he heard that Adam Yauch was nearing the end of his life. I was moved when my friend told me that in a true act of solidarity the other two Beastie Boys Mike Diamond and Adam Horovitz refused to perform in Cleveland at the Hall of Fame induction ceremony without MCA. In fact, they refused to ever perform again until Yauch beat his cancer. Adam Yauch was born to a Jewish mother and a Catholic father, but as an adult Yauch practiced Buddhism making him the world's most popular JewBu. In recent years, he took an active role in the promotion of the Tibetan freedom cause. In addition to his successful career as MCA of the Beastie Boys, Yauch will also be remembered as an independent film maker. Under the pseudonym "Nathanial Hörnblowér" Yauch directed many of the Beastie Boys' music videos. Many times when we hear of the premature death of a music star it is related to a drug overdoes, an tragic accident, a murder or a suicide. Adam Yauch's death at only 47 should remind us all of the need to support the fight against cancer and to fund research efforts to find a cure. Condolences to the wife and daughter Yauch leaves behind as well as to his fellow Beasties Horovitz and Diamond. Rest in peace MCA! I am a rabbi and a Beastie Boys fan. The first time I hung with my husband was the first usy program I went to with usy chapter at synagogue where I was assistant rabbi in 1999, Congregation beth Judea in long grove, Illinois. Jonathan was one of the usy advisors and we went to science museum in Hyde park near u of Chicago and saw laser light show at IMAX theatre to beasty boys. It was awesome! At first RA convention after we started dating, so in 2000, I got Jonathan a beasty boys t shirt in Hebrew. I used I have brass monkeys as a ring tone, until deborah Riegel taught me at rti that we should not take on other people's monkeys. And from this Brooklyn girl - just love, no sleep til Brooklyn! Listen to and read the lyrics to MCA's song "bodhisattva vow" as well as those to "alive". MCA inspired me to pursue the translated full bodhisattva poem as well as look at faith from other angles. I've followed the band since Paul's Boutique and was blessed with having seen them perform at least twice live. Adam, as you pass from this realm to the next and back again, we pray for your safe passage. I believe you are a Poet, a Buddha, and a Prophet. I hope you come back to us.